Working for a world with more happiness and less misery requires having friends and allies with shared values nd the desire to have a positive impact. From bē and Happiness Fest we are always looking for synergies and creation of shared value, that's why we are very proud of our partners, allies and sponsors. Join us. An initiative that promotes the development of companies with purpose and based on the passion of its founders. It is the business school we have always dreamed of, where happiness, not economic benefit, is the main motivation. The GNH Centre Bhutan (GNHCB) is a non-profit civil society organization under the Patronage of Her Royal Highness Ashi Kezang Choden Wangchuck. It was registered under the Civil Society Organization Authority of Bhutan on 18 October 2012. The GNHCB was established as a tribute to take forward the vision and philosophy of Gross National Happiness (GNH) as introduced by His Majesty the Fourth King Jigme Singye Wangchuck in the early 1970s. It was born in 2007 with the aim of redefining the concept of equipped offices and becoming an integral solution that would allow its partners to dedicate 100% to their company. Today, it integrates a community of more than 9,000 members who share happy moments every day in the 36 business centers throughout Mexico. The Happiness Alliance provides tools, resources and knowledge to transform our society, government and economy; take action in your community, city, campus or community; and change our lives for happiness, well-being and sustainability of all beings. You are the happiness movement. Action for Happiness helps people take action for a happier and more caring world. Our patron is The Dalai Lama and our members take action to increase wellbeing in their homes, workplaces, schools and local communities. Our vision is a happier world, with fewer people suffering with mental health problems and more people feeling good, functioning well and helping others. Experience science-based technology and programs for taking charge of your life. Proven to help you reduce stress and anxiety by increasing your inner balance and self-security. Learn to access your heart’s intuition to become the best version of yourself more often. 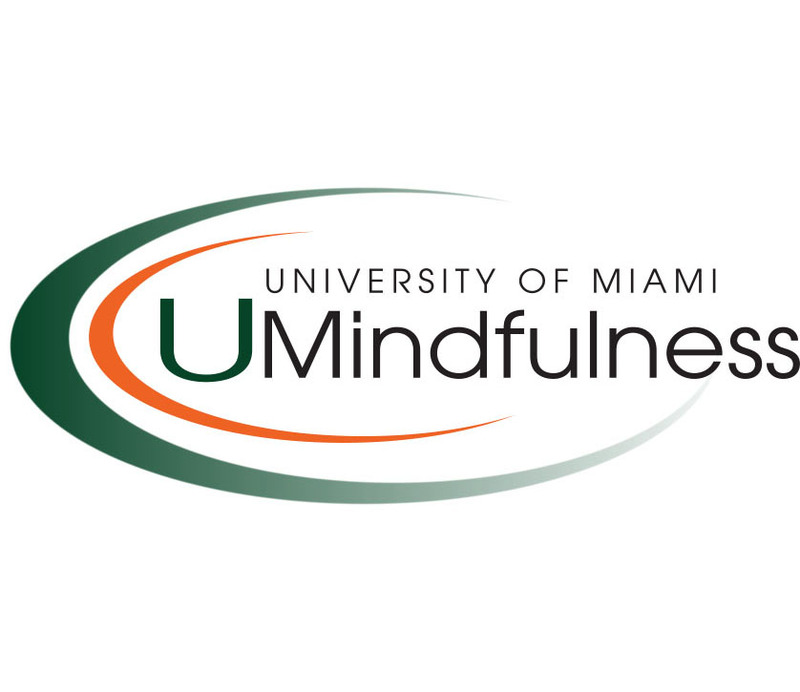 The University of Miami’s Mindfulness Research and Practice Initiative (UMindfulness) is an inter-disciplinary collaboration across the University of Miami that brings together cutting-edge brain research and mindfulness/contemplative practice training. Contemplative training is offered in nonsectarian, accessible, and innovative ways to optimize performance, enhance wellness, and promote resilience. The mission of the Organisation for Economic Co-operation and Development (OECD) is to promote policies that will improve the economic and social well-being of people around the world. The OECD provides a forum in which governments can work together to share experiences and seek solutions to common problems. Wholebeing Institute is an educational organization focusing on research-based courses that help people live life to its fullest—spiritually, physically, intellectually, relationally, and emotionally. To lead a full and fulfilling life, to enjoy a deep and lasting sense of wellbeing, it is necessary to embrace the whole self. A unique business group for its capacity for innovation in communications, radio, television and in the world of education. The Good Cards is a digital platform that promotes kindness and happiness through an app that makes doing good FUN and meaningful. Consciousness Hacking is a community that shares the vision of a technological landscape in service to humanity, not the other way around. They are exploring the relationship between humans and technology because it is a defining question for our future. Technology is only becoming more ubiquitous, and Consciousness Hacking believes that we must take an active approach to shaping its development. Villas Xichu is a retreat place located in San Miguel de Allende that is dedicated to celebrating life. It the perfect place to hold workshops or retreats as people can commune with nature to relax, be more mindful, and to ease daily stress in life. lululemon athletica is a technical athletic apparel company for yoga, running, training, and most other sweaty pursuits. lululemon stores create community hubs where people can learn and discuss the physical aspects of healthy living, mindfulness and living a life of possibility. Plasticity started out with a big goal – to give one billion people the tools to live a happier, healthier and high performing life. To scale happiness globally, the founding team built the first ever, mental health and happiness platform. Everfest is a company that connects the festival community online. Festival-goers can find worldwide festivals, connect with friends, build a calendar and share content about festival experiences. The GGSC is unique in its commitment to both science and practice: Not only do we sponsor groundbreaking scientific research into social and emotional well‐being, we help people apply this research to their personal and professional lives. Million Peacemakers is an organization that trains Peacemakers around the world using a simple yet powerful three-step conflict resolution methodology, Nonflict. Since launching just 3 years ago, over 140,000 people across 23 countries have been trained in Nonflict. Million Peacemakers has received awards from the YMCA and from YPO. The Nonflict Way has been taught at renowned universities and business schools worldwide. TransTech is tech specifically designed to elevate mental and emotional wellbeing. It is the intersection of technology, neuroscience, psychology, behavioral science and design, data metrics, and more. The TransTech community is an ecosystem of diverse collaborators--mavericks of the mind, engineers of optimization, scientists of self-mastery, entrepreneurs of human potential, and venture capitalists of cognitive-emotional capital. Live Happy is a company dedicated to promoting and sharing authentic happiness, inspiring people to live purpose-filled, healthy, meaningful lives. Live Happy is a magazine, website, resource and movement about a timeless quest: Living a happy life. Inner ExplorerTM is a non-profit organization whose mission is to provide daily mindfulness programs for PreK-12 classrooms to help children develop self-awareness, self-control, resilience and compassion. Each series contains 90 audio-guided practices that can be used everyday by simply logging in and pressing play. Students and their teachers participate together in the brief (5-10 minute) daily practices. No prep, planning or curriculum changes required. Coachers is a group of expert consultants in organizational growth focused on the development of the person, which represents the greatest asset of any company. In addition, another group of collaborators cover other areas of development such as business coaching, personal and political, development of high equipment performance, transformational leadership, science of happiness applied to life and work, professional and political image, development organizational, government implementation, corporate and risk management and models of business among others. Untamed Hearts is a brand, the first product is a collection of beautiful jewelry that inspires everyone who puts it on. People are drawn to it, and once experience wearing it, feel the love that the founder, Julia Bernadsky, and her partner in this project, Nitzan, who is a reiki master and a person who works with and holds the energy and injects into each piece of jewelry. Republic of Humanity is an action-oriented, social and multi-media platform that aims to change our cultural narrative. Through award winning photography, visual storytelling, and short anecdotes, our platform delivers a daily dose of humanity and humility to our followers and the broader community. It is our goal to show that diversity is a strength not a weakness, and that it is our responsibility as global citizens to contribute to a fairer and more just society. Delivering Happiness is a culture coachsulting [hybrid coaching + consulting] company with a cause – to inspire passion + purpose in workplaces for a happier world. In addition, Delivering Happiness applies the SCIENCE OF HAPPINESS and best practices from workplaces around the world to create sustainable purpose-driven cultures using HAPPINESS as a business model. Comunidad F is an organization that is committed to the happiness of work teams. Organizations like Comunidad F have made an impact to its more than 100,000 members and to their families because happiness is contagious. 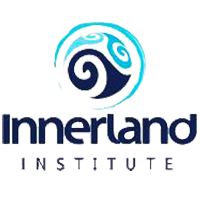 Innerland Institute is an organization that identifies and transforms what gets in the way to become extraordinary, clear, and being in the now. The power of Inquiry-Based Coaching is used to individuals, leaders, coaches, teams, and organizations. Innerland Institute works with the roots of organizations to ensure that long-term transformation actually happens. Medita Mexico is a non-profit organization that helps improve the quality of life through meditation. Programs that include the most advanced balance techniques are created to generate well being in the physical, mental, and emotional dimension of an individual. Tiempo y Tono is a communications and production company with more than 22 years of experience in fiction production, documentary-television and advertising. It is a company that continues to evolve through adaptation to new technologies. Tiempo y Tono adapts to each project because it believes that the needs of clients are unique, vital, and real. 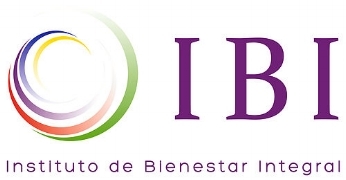 Instituto de Bienestar Integral is an organization that promotes individuals, families, and social community well-being through the committed development of the multiple potentials of humans. IBI has innovative teaching models based on scientific research, that facilitate an internal processing of knowledge that opens the door to a life transformation on a personal and professional level. Happinss for Enterprise has the capability to translate biofeedback from wearable devices into a stress management program also combining 3 powerful positive stimulus Nature, Music Therapy and Mindfulness, allowing you to visualize and monitor your stress levels and track your progress giving you concrete data to help understand a journey towards a better SELF. Global Wellness Day is an entirely not-for-profit day, a social project dedicated to living well. The purpose of Global Wellness Day is to ask the question, even if for just one day, “How can I live a healthier and better life?”, to direct the thoughts of both individuals and society towards “living well” and to raise awareness. Horizones is the first business innovation strategy consultancy company with a financial and technology approach, we help our clients to optimize and enhance their competitive advantages through the intensive use of state-of-the-art technologies, as well as financial, econometric and statistical models that increase the impact of business decisions. 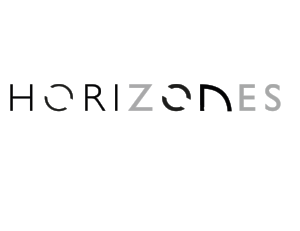 Horinzones promotes responsive Innovation for the creation of shared, sustainable and scalable value, a responsive approach is actionable quickly, but at the same time flexible and adjustable in organic growth environments and allow that accelerated time.